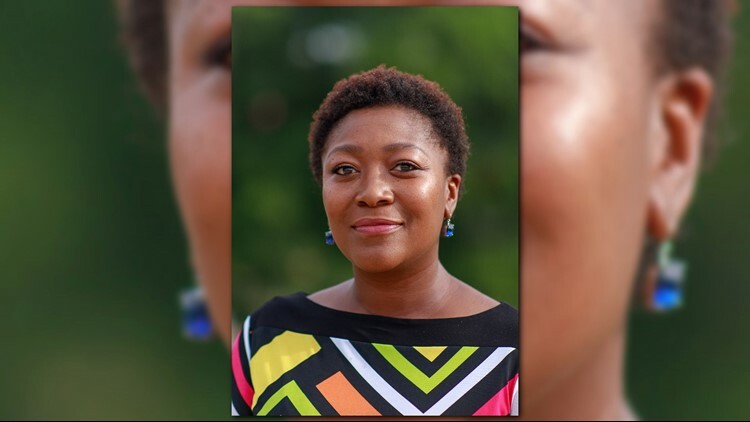 Two people are vying to represent District 1 on the Austin City Council. Take a moment to learn more about the candidates. 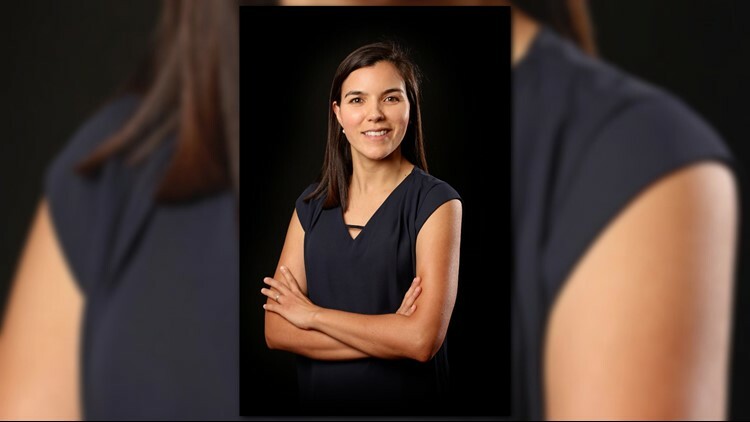 AUSTIN — Two people are vying to represent District 1 on the Austin City Council. KVUE sent a list of questions to each candidate, to help you learn more about them ahead of the election. 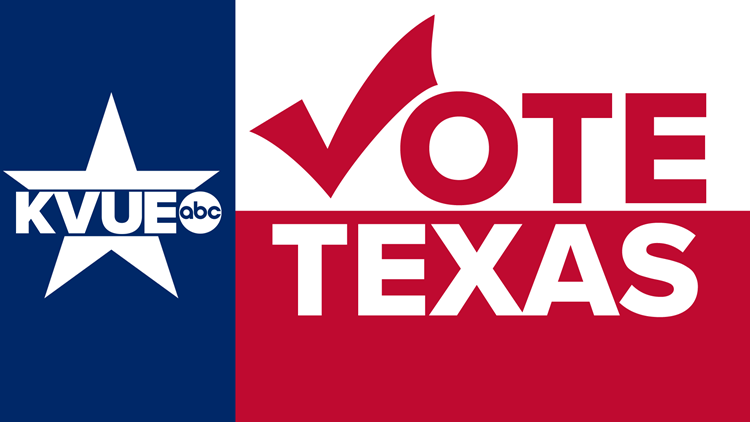 For more on KVUE's election coverage you can head to KVUE.com/votetexas. Why are you running for the Austin City Council? I decided to run for public office for my love of Austin and the people here that make up my family, friends and community. After having served Austin in multiple capacities, including boards and commissions and community advocacy it became clear that the way for me to most substantively give back to my city was by effecting change in policy and constituent services. Austin deserves a council person prepared to do the work, with integrity, honesty and the courage to make tough decisions for our overall greater good- I believe I am that person and my time to contribute is now. What do you believe are the most pressing issues for the people in your district? Longtime residents of District 1 are being displaced as land prices increase and rapid development moves east. District 1 also lacks adequate healthcare access, access to reliable city services, and practical public transportation options. What do you think is the key to addressing affordability in Austin? Passing the Affordable Housing Bond is a good start. We can also drive housing costs lower by increasing the number of available homes in Austin. We need a new, simplified land development code that legalizes the construction of more affordable housing types like fourplexes and townhomes in all parts of our city and streamlines the permitting process. We need practical public transit options. Affordable housing isn’t affordable if transportation costs are too high. Additionally, wages haven’t kept pace with cost of living increases. I support Austin maintaining a liveable minimum wage. How can Austin address its growing traffic and transportation challenges? Austin will not be able to pave its way out our current traffic woes. For a safer, sustainable, and more accessible future, we should continue to pursue the multimodal vision voters overwhelmingly approved when they voted for the 2016 mobility bond. That means better intersections, improved technology, safe bike lanes for users of all ages, and more sidewalks, particularly in sidewalk-scarce D1. Council should continue to leverage city investments to obtain funding from state and federal partners. Recent cooperative efforts with CapMetro should be continued, and all tools in the toolbox should be considered when it comes to enhancing public transit, especially as Project Connect looks at key corridors such as Manor and the Green Line. Tax increment financing and general land use reforms could help transform Austin from a city designed for cars to a city designed for people, allowing more Austinites to live within walking or biking distance to job centers and access to reliable, efficient public transportation. For the next set of questions, please tell us if you are For or Against the following propositions and why. I fully support this proposition to boldly address affordable housing in Austin. We need to work with the affordable housing community to find the best ways to get the most deeply affordable units with the $250 million allotted in the bond. Lots of ways to use that money to collaborate with nonprofits and the private sector with low income housing tax credits support or other mechanisms -- work with housing community to identify the best ones. Expanded and recalibrated affordable housing bonus programs (i.e. density bonuses) must be revised in such a way so as to better take advantage of the demand for housing at all MFI levels. Our ability to grow as a diverse city with accessible amenities for Austin residents will be improved with this proposition, I support it. Libraries and community centers are the kinds of public spaces that help communities and people thrive. Parks and recreation are important for a number of reasons, community building, playing, physical activity, free spaces for family fun, physical and mental wellness and more. I enthusiastically support this proposition. Flood mitigation and water quality protection are of the utmost importance. The loss of property, the potential for loss of human life and the devastating environmental hazards of floods cannot be denied. Water is one of our most valuable resources as a city and subsequently one that we must take every opportunity to protect. I support this proposition. This proposition that supports equity and access in healthcare and critical human services is one I’m proud to support. The proposed clinic will be a valuable resource to some of Austin’s most underserved families. Well trained, well staffed and well paid public safety professionals are a critical asset to our city, especially as we continue to grow. The increased and improved protection of our residents and their property is a proposition I can easily support. Transportation infrastructure is an issue that we can not ignore or under-invest in any longer. All the issues I’m running on as a candidate are directly affected by transportation; Equity, Affordability and Economic Mobility. How we use and develop land, housing and how people experience successful thriving lives in our city are a direct result of how we plan to get people where they need to go. Our roads, public transit, and multi modal transportation infrastructure will determine how successfully we grow moving forward. I definitely support this proposition. Prop H: Amend the city charter to state the term of service and process for removal of members of the Planning Commission would be determined by ordinance. Though I’m concerned about losing certain expertise on the planning commission with the term limits, I appreciate the ability of the organization to evolve, for more voices to be represented and for new ideas to be introduced. I believe it should be up to the respective Council Member as to whether or not their commissioner should still serve. Additionally, while I support a reasonable removal process, I am currently unable to support this proposition given the lack of certainty as to what the process is exactly. Prop I: Amend the city charter to make non-substantive corrections to grammar, typographical errors, capitalization, punctuation and sentence structure to the city charter and remove language that is obsolete. To my understanding, this proposition is a simple matter of grammatical revisions. I support. Prop J: Shall a City ordinance be adopted to require both a waiting period and subsequent voter approval period, a total of up to three years, before future comprehensive revisions of the City's land development code become effective? While I understand the concept of having a comprehensive vote on the LDC, I am concerned that the waiting period will have unintended consequences of delaying our ability to get necessary changes to the LDC to diversify our housing options along the corridors. Civic engagement and voter education are topics I’m passionate about, which is why I started Take5ToVote. I believe there should be rigorous public input, but while also recognizing that input in highly-technical discussions on issues such as land development code often excludes a great many voices across the city whose interests are otherwise represented by elected officials entrusted to exercise their wisdom and advocate for their constituents’ best interests. I’m concerned about a general lack of broad representation that could lend this process to being representative of only a few voices, I believe this is dangerous. Prop K: Without using the existing internal City Auditor or existing independent external auditor, shall the City Code be amended to require an efficiency study of the City's operational and fiscal performance performed by a third-party audit consultant, at an estimated cost of $1 million - $5 million? Oppose. While I'm a fan of making sure that the city's budget is well-spent, the independent auditor's office is more than capable of doing an efficiency audit without requiring a vote. I look forward to working with the auditor's office and the city manager to make sure that city services are delivered to our residents in a timely and efficient manner. I understand how important that is. Unfortunately, the language of the audit is unclear about who will conduct the audit, what their qualifications are, how efficiency is measured, why the budget is set to $1M-$5M, the timeline, and how city workers can be protected. In short, while I welcome the spirit of the proposal, the particular ballot proposition is something I can't support. I am running for Austin City Council District 1 because I would like to see more affordability, more economic opportunity and more inclusion in our city. As a working mother raising two young children in East Austin, I understand how hard it is for a young family to be raising children in our city. As a council member, I’ll work to create more affordable housing, create better public transit and more affordable childcare - so we can afford to stay living in the city. As an immigrant who came to the U.S. as a teenager, I have had to work extra hard at everything I do while being treated differently because of the way I look or sound. As a council member, I will work tirelessly to create a city that welcomes and accepts everyone. Lastly, as a lifelong public servant, I have extensive experience building partnerships, implementing solutions, and organizing communities to lead our own change. As Council Member, I will lead to advance pragmatic solutions, making sure our communities are an integral part of the decision-making process. Our rents, property taxes and child care costs continue to go up. Our families are being pushed out of the city and don't have the resources they need to thrive. Our schools are under-resourced. There are missing sidewalks. Public transit does not meet the needs of our community. East Austin has been neglected for years. Prosperity is not shared by everyone. It's hard to participate in City Hall. These are the issues that motivate me to run for office. I am running so we can stay in homes, so we all can have access to decent jobs with benefits, and we can all be included in City Hall's decision making. As a Council Member, I will work with others to create pragmatic and lasting solutions to these issues. Because we are experiencing an affordability crisis, I believe improving affordability requires a comprehensive approach beyond any one single action. As a City Council member, I will collaborate with the Austin community to 1) promote access to higher paying jobs with benefits through workforce development and small business incentives, 2) promote more affordable housing options for both renters and homeowners, and prevent further economic displacement, 3) promote affordable child care, and 4) expand public transit, sidewalks, bike lanes, and other mobility infrastructure. Public transit is not meeting our community needs, and as a result, only 4.4% of District-1 residents take transit to work. As a council member, I will collaborate with CapMetro and stakeholders to increase transit service quality, provide a more effective and frequent network of routes, invest in high capacity transit, and use limited transit dollars more efficiently. We must also update our land use code to support compact urban growth, allowing transit to reach the critical ridership needed to expand service. I will support sidewalks, bike lanes, urban trails, and road improvements to complement our transit system. As I a Council member, I will work to advance efforts to secure much needed transit investments for our community with local, state, the federal partners. important early step in meeting the challenge head on. For. These are important investments for our community. For. It’s important to have clearer communication in the city charter. For. It sounds like a sensible proposition to be updating city charter language to remove obsolete language. I support having clearer language in all government communications. Against. A waiting period will lead us to inaction which is basically our status quo right now. We need to be able to implement solutions in a timely manner. Against. I believe we don’t need to hire a third-party audit consultant for any auditing services, that’s precisely what our current internal City Auditor office is supposed to do.